Another government shutdown could be coming down the pike if Congress doesn’t give in to President Trump’s demands for border wall funding. But no matter how the situation plays out, it could be a unique win-win situation for precious metal owners. Congress needs to pass a federal budget by September 30. If that doesn’t happen, a government shutdown is inevitable. But Congress can’t do this alone. Any spending bill they devise will have to pass President Trump’s desk. However, he’s threatening to veto any bill that doesn’t include funding for the border wall he promised on the campaign trail. If we have to close down our government, we’re building that wall… We’re going to have our wall. The American people voted for immigration control. We’re going to get that wall. Trump’s threats come at a time when Congress is already struggling to reconcile a slew of tax cuts and spending requirements. To make matters worse, the president is losing support not just among Democrats, but among many members of his own party as well. So with the chances of a shutdown appearing relatively high, what will happen to markets and metals prices when Congress and the president get stuck at an impasse? During the last government shutdown, economic output dropped by an estimated $24 billion, and markets took a notable hit. It’s logical to expect similar effects if we see another shutdown this September. But there is a way to guard yourself from the financial turbulence of the next government shutdown. Recent history demonstrates that physical precious metals perform superbly during government shutdowns. During our last shutdown in 2013, for example, gold prices spiked considerably. Similar trends can be seen in the historic data from several other government shutdowns since 1981. That said, physical precious metals could be one of the smartest assets to hold if/when Trump decides to bring the government to another screeching halt. Here’s what makes this situation so unique: Even if there’s no shutdown and Trump does get his way, metals will still likely get a notable price bump… especially silver. The reason why is simple. Trump is using an extensive solar power component to sell his border wall plans to opponents across the aisle. And all those solar panels will require vast amounts of pure silver. If you do the math on how much silver would be required for Trump’s proposed solar wall, a reasonable estimate reveals that the project would create a whopping 11 million ounces of new silver demand in the market. Meanwhile, silver supply and production around the world is steadily dropping. Anyone who’s taken a basic economics class understands what this kind of situation means: Excessive demand in conjunction with dwindling supply could quite likely send silver prices soaring. 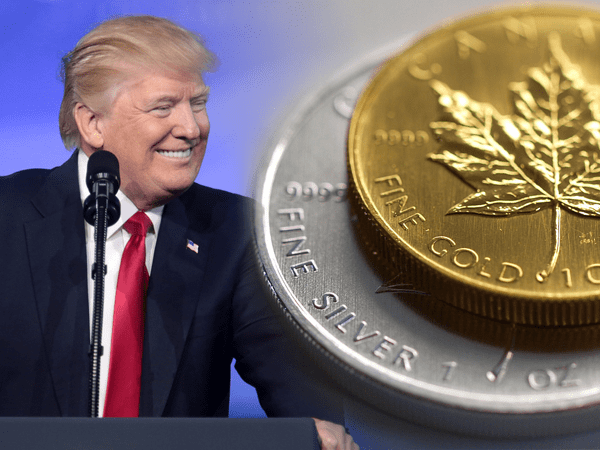 No matter what happens, Trump is giving a big gift to anybody holding precious metals. If he digs in his heels and forces a shutdown, there’s a good chance we’ll see a jump across the metals market. And if he gets his way and proceeds with his plan for a solar wall… it will give silver prices tremendous upward momentum. Nobody knows exactly how the situation will play out. But one thing’s for sure… this is a unique buying opportunity for anyone savvy enough to spot in advance.